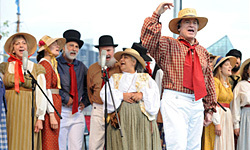 Washington Revels now has several year-round performing ensembles celebrating the history and culture of the Washington area and beyond. These groups revive and present traditional material, performing on stages, in museum galleries, during street parades, and at many other venues. 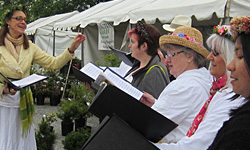 A select group of vocalists performing a tapestry of musical styles: Medieval, Renaissance, Early American hymns and folk songs, 19th and 20th-century part-songs, and more. 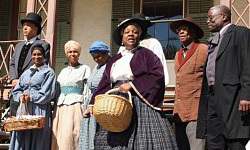 An ensemble of area actors brings to life the portrayals of several historic figures from local history, including Abraham Lincoln, escaped slave Anna Maria Weems and more. 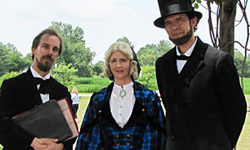 For more information about Washington Revels Ensembles, and to explore hosting a performance at your site, contact Ross Wixon at rwixon@revelsdc.org or (301) 830-4402. 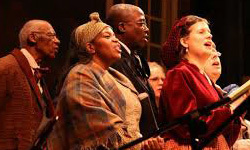 Grant support for Washington Revels ensembles comes from Heritage Montgomery, Montgomery County Government, Maryland Heritage Areas Authority, Arts & Humanities Council of Montgomery County, and Maryland State Arts Council.